1. Please can you introduce yourself and briefly explain what type of service your company offers? – My name is Delis Williams, I’m owner of Autovac. 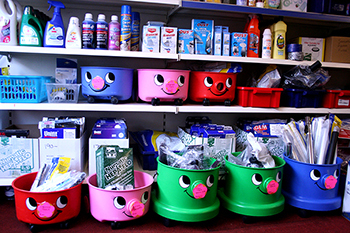 We sell vacuum cleaner spares, bags, filters, belts, and spares for all other domestic appliances. 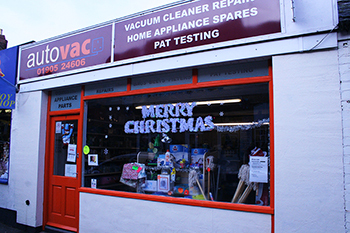 We do repairs on all vacuum cleaners. Sell most commercial carpet cleaners. Offer a PAT testing service, single items and whole premises. 2. 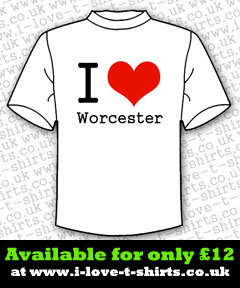 How long has your business been active and do you feel your store is well well-known in Worcester? 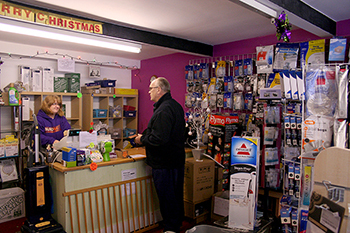 – The shop has been here for 20 years. 4 years ago I (Dee) took on ownership, and yes the store is certainly well established now. 3. Do you enjoy your job here at AutoVac, as well as providing a service to the people of Worcester? – Love it! So many people come in who are very glad to see there’s a store like this, since the internet being about now. It’s a one-of-a-kind store in Worcester. 4. Okay so, say my vacuum cleaner broke today, why should I come to your business to get it repaired? – Because we’re efficient and cost effective, and operate in a professional manner. Our engineer is very experienced, having spent fourteen years working with the type of equipment our business specialises in. 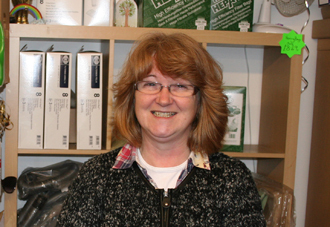 We like to think of ourselves as an honest business which is here to provide a helpful and friendly service, we can also offer second hand equipment if requested. 5. Is it correct to say that your business was involved in some charity work recently at The Three Counties Showground? – Yes that’s right! The Three Counties Showground was the location of a local fundraising event, for the ‘Children in Need’ organisation. We successfully contributed to the Guinness World records too, a group effort from the public as well as local businesses created 6.25 miles of bunting which, BBC Hereford & Worcester helped organise. 6. Oh wow, great work! Okay, final question. Is there a way the public can view your business and get in contact with you? – There certainly is, we have Phone; 01985 32657, Email; [email protected] and also a Website; www.autovacworcester.co.uk.